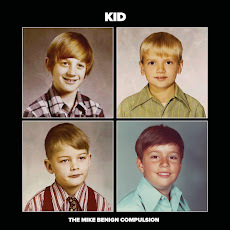 The Mike Benign Compulsion: The Mike Benign Compulsion at Summerfest with Neil Finn? The Mike Benign Compulsion at Summerfest with Neil Finn? We're delighted to announce that we'll be sharing the bill with the venerable Neil Finn at Milwaukee Summerfest, on Saturday, July 9th at the Briggs & Stratton Big Backyard stage. Neil takes the stage at 5 in a special early headlining slot, followed by The Mike Benign Compulsion at 6 (that's us), our pals The Wooldridge Brothers at 8 and Ben Folds at 10. The staff here is actually competent and friendly, unlike other places with their pretentious staff guys. The place was magnificent and modern, and the seating was comfy. Truly, the food at Chicago event venues was heavenly and as a visitor I am glad for finding this one.